The Teenage Mutant Ninja Turtles had Donatello, Leonardo, Michelangelo and Raphael. The Beatles had George, John, Paul and Ringo. Kira, Martha, Mersadies and Taylor are the Fab Four behind the curtain of Remedy’s hand-trimmed premium flower. The practice of hand trimming preserves the integrity of the marijuana flower. 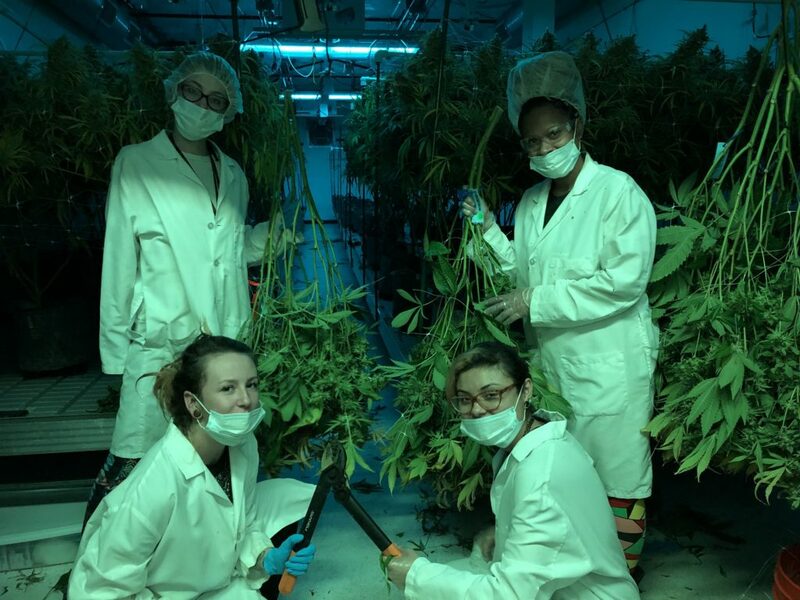 Every plant that Remedy grows is harvested, cured and hand trimmed by these four ladies. 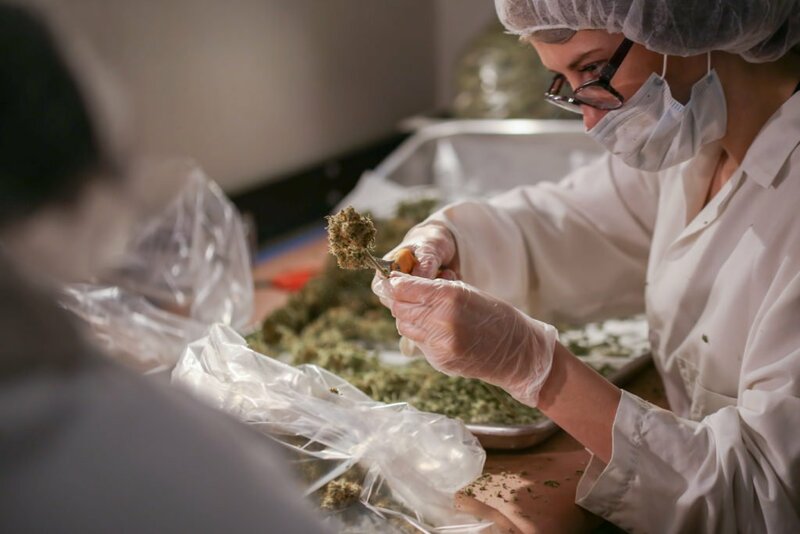 As part of the cultivation crew, they monitor and track every single plant carefully, adhering to Remedy’s cultivation and hand trimming procedures. While larger operations manage a team of a dozen or more trimmers, these four handle business and get the job done right. This tight-knit crew of women at Remedy has streamlined the harvest and trimming process into a finely tuned, well-oiled premium cannabis machine. Remedy cannabis was kind enough to open their doors and give us an interview with their Fab Four. Vegas Cannabis: What are your official job titles with Remedy? Martha Pulido: I am Trim Lead, AKA Master Trimmer, AKA The Fastest Trimmer. Taylor Turner: Fastest trimmer? Psssh, when she wants to be. Kira Piggot: If we’re making up titles, I’m the Renaissance Woman of the cultivation facility. Taylor Turner: Oooh… Then I’m Trim Mom! The back and forth between these ladies was so quick. Like they were all riffing off each other in a n improv act. With each jab at each other, their voices got louder and louder until the door opened. Our interview was interrupted when Pete Westbrook, Harvest Manager entered the room. Pete Westbrook: Ladies, ladies, ladies… Settle down. You are all Master Trimmers. Westbrook smiled and shut the door. I guess the walls are kind of thin at Remedy. Our interview continued. Read the full feature originally appearing in the Vegas Cannabis Magazine.